About 780 million people—a tenth of the world’s population—do not have access to clean drinking water. 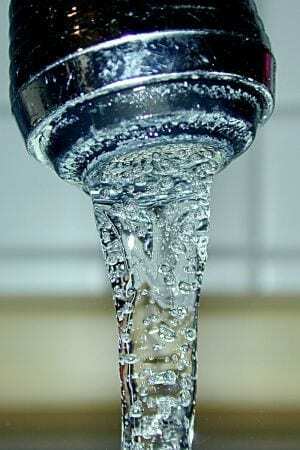 Water laced with contaminants such as bacteria, viruses, lead and arsenic claims millions of lives each year. But an inexpensive device that effectively clears such contaminants from water may help solve this problem. Thalappil Pradeep and his colleagues at the Indian Institute of Technology Madras developed a $16 nanoparticle water filtration system that promises potable water for even the poorest communities in India and, in the future, for those in other countries sharing the same plight. Although cheap filtration systems have been developed previously, this is the first one to combine microbe-killing capacity with the ability to remove chemical contaminants such as lead and arsenic. Because the filters for microbes and chemicals are separate components, the system can be customized to rid water of microbial contaminants, chemical contaminants or both, depending on the user’s needs. In a report published yesterday in Proceedings of the National Academy of Sciences, Pradeep and his collaborators explain that the microbe filter relies on silver nanoparticles embedded in a cage made of aluminum and chitosan, a carbohydrate derived from the chitin in crustacean shells. The cage blocks macroscale water contaminants as well as protects the nanoparticles from sediments that would otherwise accumulate on their surfaces, thereby preventing them from releasing microbe-zapping ions. The team used nanoparticles that release iron- and arsenic-trapping ions to make its chemical filter. But Pradeep notes that the “cage” technique can be used with other nanoparticles to target contaminants such as mercury. The materials are added one by one into water and self-assemble into small sheets that resemble clay (see image below). These sheets are the “cages” that then hold on to the silver nanoparticles. Production requires no electricity because the claylike filters are made at room temperature. Every liter of water used to make the material goes to filtering 500 liters of water. “This is a room-temperature green synthesis, which means it can be deployed in any part of the world,” Pradeep says.